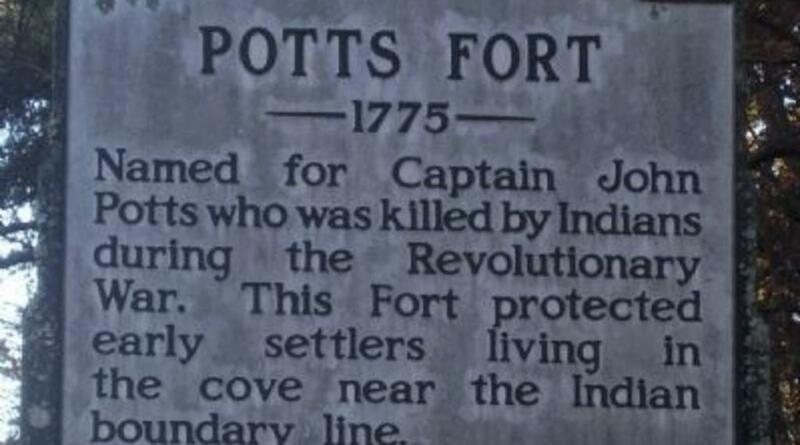 POTTS FORT - 1775. 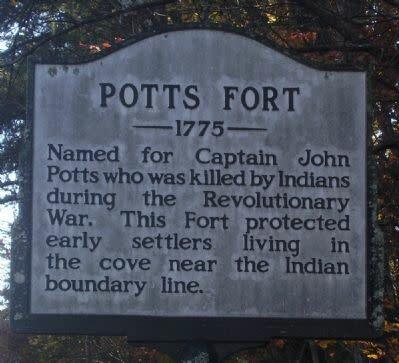 Named for Captain John Potts who was killed by Indians during the Revolutionary War. This Fort protected early settlers living in the cover near the Indian boundary line.